Impact Battery - Lithium-Ion battery: 5200 mAh. Compatible with Motorola: MC3000 / MC3100 Imager. OEM (Part# BTRY-MC31KAB02), (Part# BTRY-MC30KAB0H-01), (Part# BTRY-MC30KAB02). 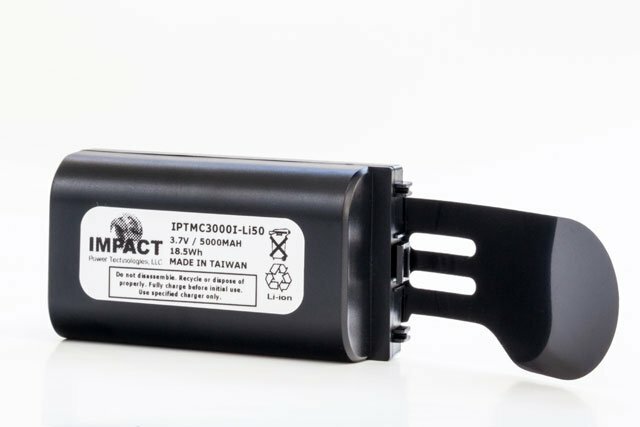 The Impact IPT-MC3100-Li-EXT is also known as IPT-MC3100-Li-EXT	or IPTMC3100LiEXT	.